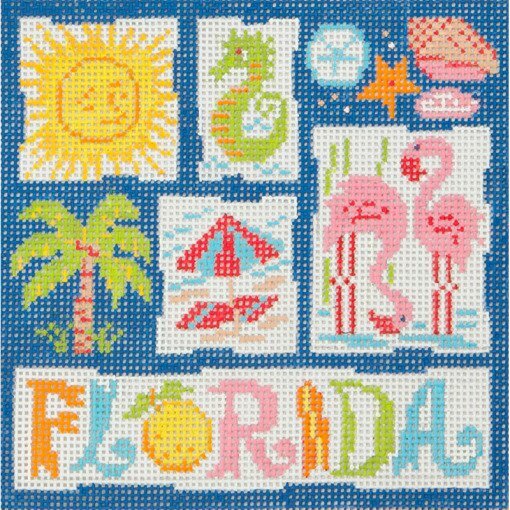 This Florida needlepoint design is handpainted onto 13 mesh needlepoint canvas. This design is by Alice Peterson Co. The design area measures 6" x 6". If you wish to purchase stretcher bars we recommend two pair of size 9". This Florida contemporary handpainted needlepoint design would be suitable for a beginner stitcher.